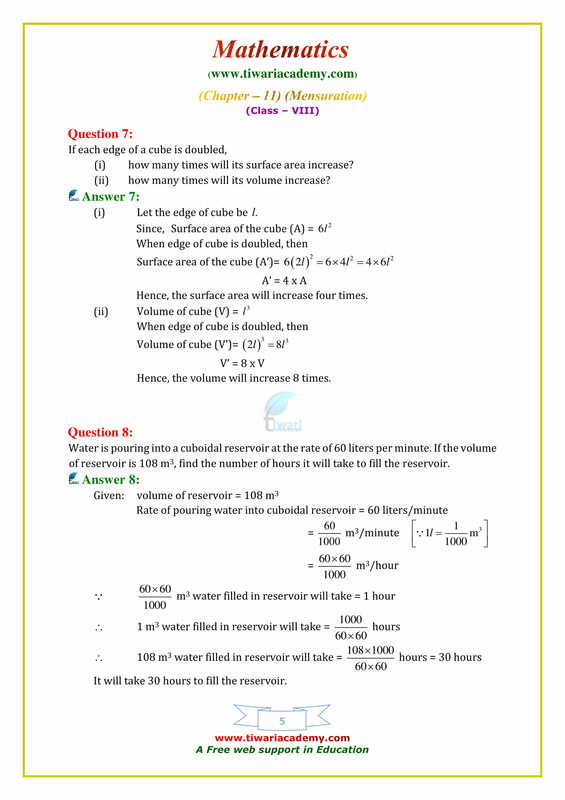 NCERT Solutions for Class 8 Maths Chapter 11 Exercise 11.4 Mensuration in English Medium and Hindi Medium free to use online. 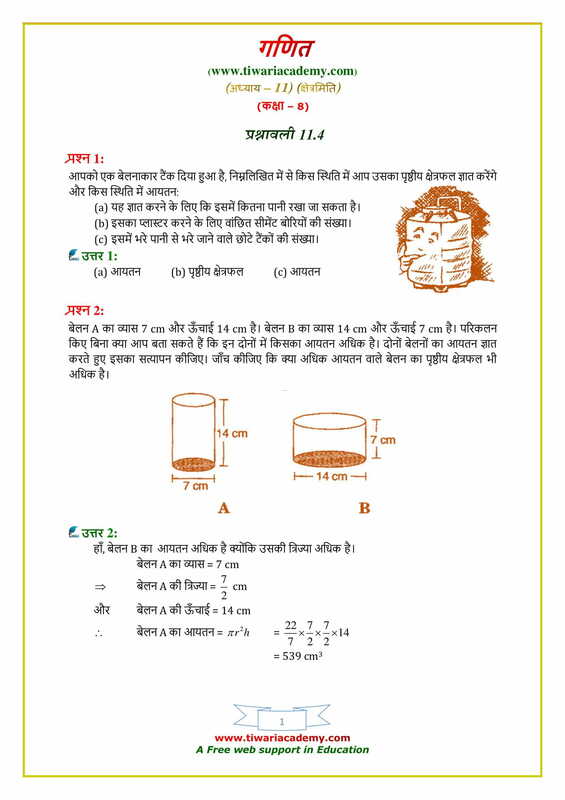 All questions are explained properly in solutions. A circle of maximum possible size is cut from a square sheet of board. Subsequently, a square of maximum possible size is cut from the resultant circle. What will be the area of the final square? The surface area of the three coterminous faces of a cuboid are 6, 15 and 10 cm2 respectively. Find the volume of the cuboid. The area of a trapezium with equal non-parallel sides is 168 m2. If the lengths of the parallel sides are 36 m and 20 m, find the length of the non-parallel sides. A square sheet of paper is converted into a cylinder by rolling it along its side. What is the ratio of the base radius to the side of the square? A hollow garden roller of 42 cm diameter and length 152 cm is made of cast iron 2 cm thick. 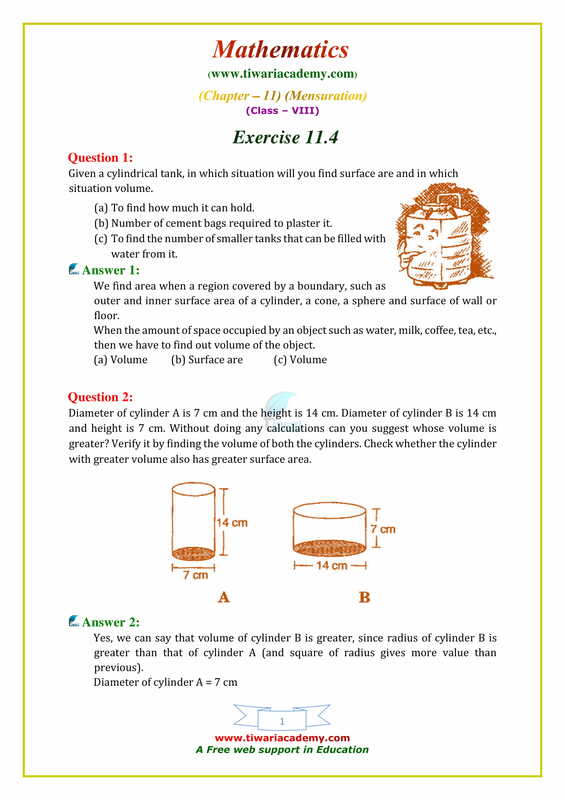 Find the volume of iron used in the roller. What is the area of the largest triangle that can be fitted into a rectangle of length l units and width w units? A cube of side 5 cm is cut into as many 1 cm cubes as possible. 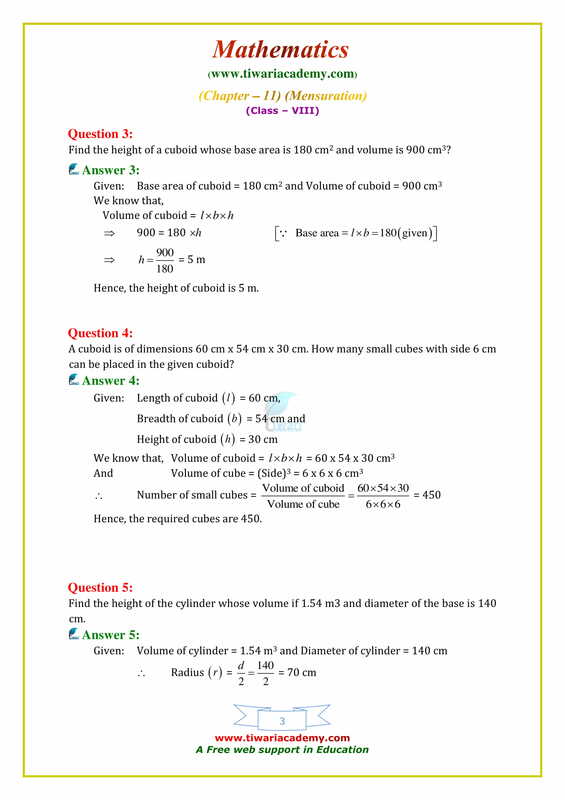 What is the ratio of the surface area of the original cube to that of the sum of the surface areas of the smaller cubes? 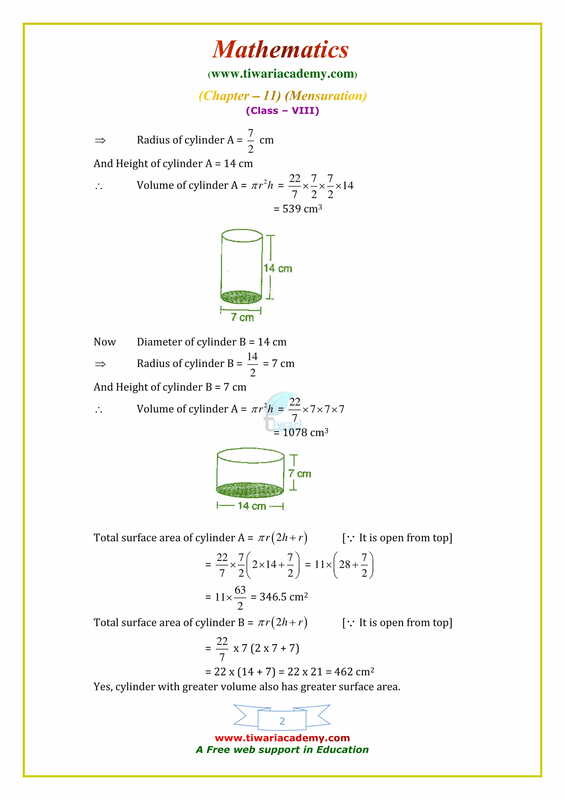 Radius of a cylinder is r and the height is h. Find the change in the volume if the (a) height is doubled. (b) height is doubled and the radius is halved. 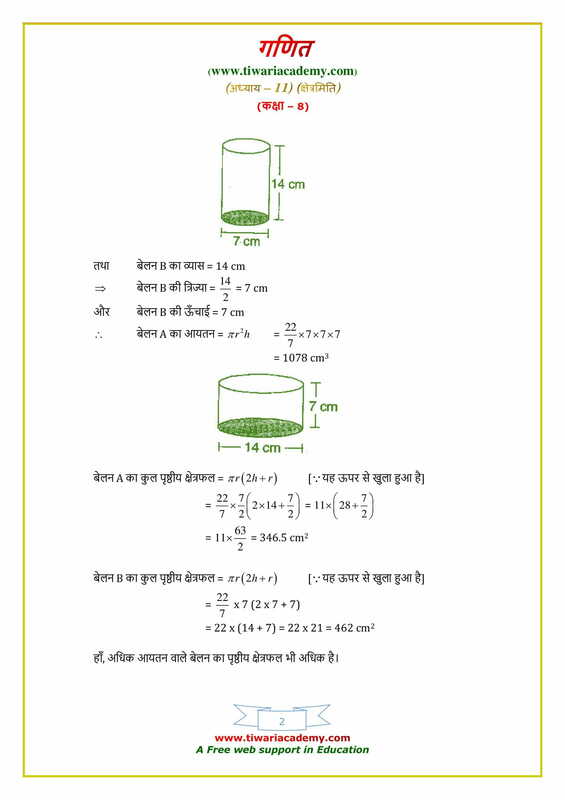 (c) height remains same and the radius is halved. 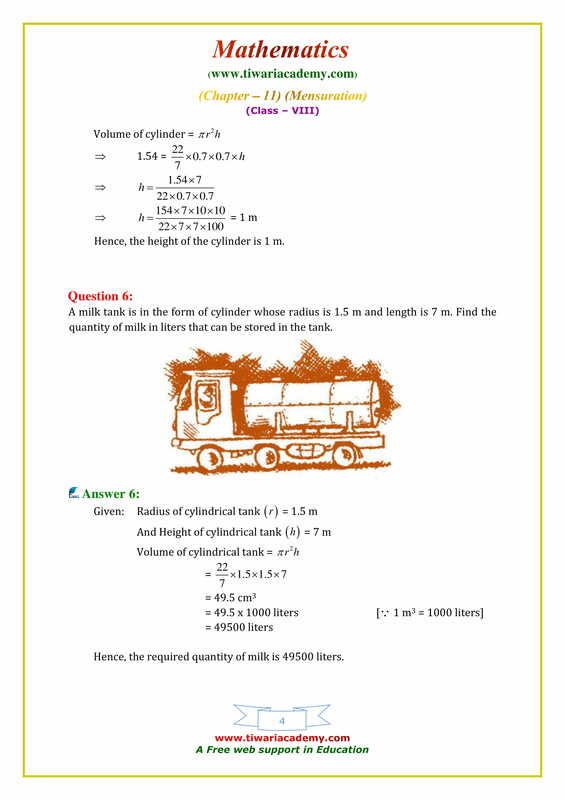 Two cylinders with equal volume will always have equal surface areas. The walls and ceiling of a room are to be plastered. The length, breadth and height of the room are 4.5 m, 3 m, and 350 cm respectively. Find the cost of plastering at the rate of ₹ 8 per m².